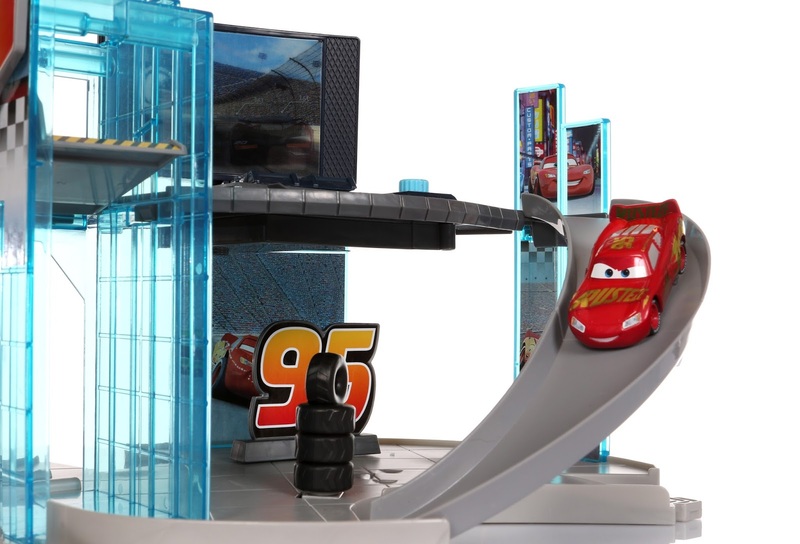 Straight out of Cars 3, here we have the Rust-Eze Racing Center playset by Mattel! 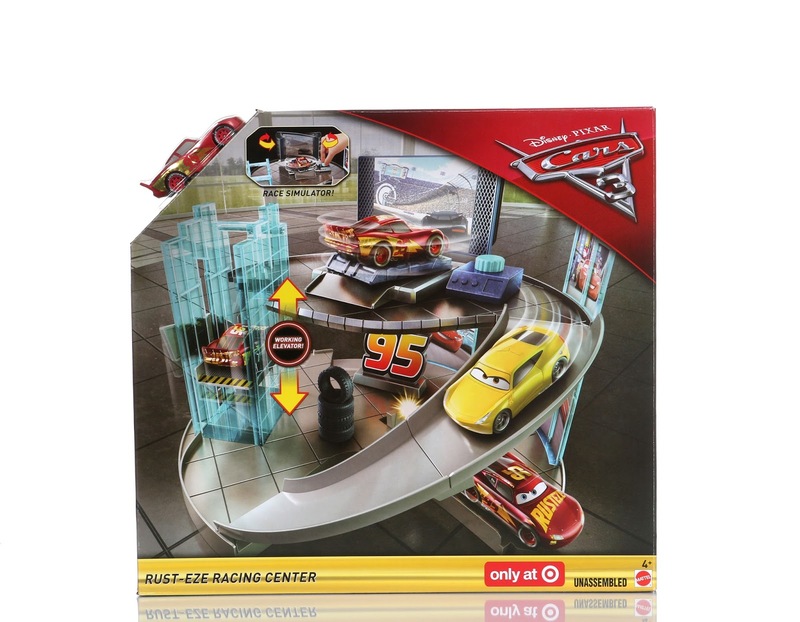 This is currently available only at Target stores and comes with an exclusive [plastic] 1:55 scale Rust-Eze Racing Center Lightning McQueen (my personal favorite design out of his new paint jobs seen in the film). 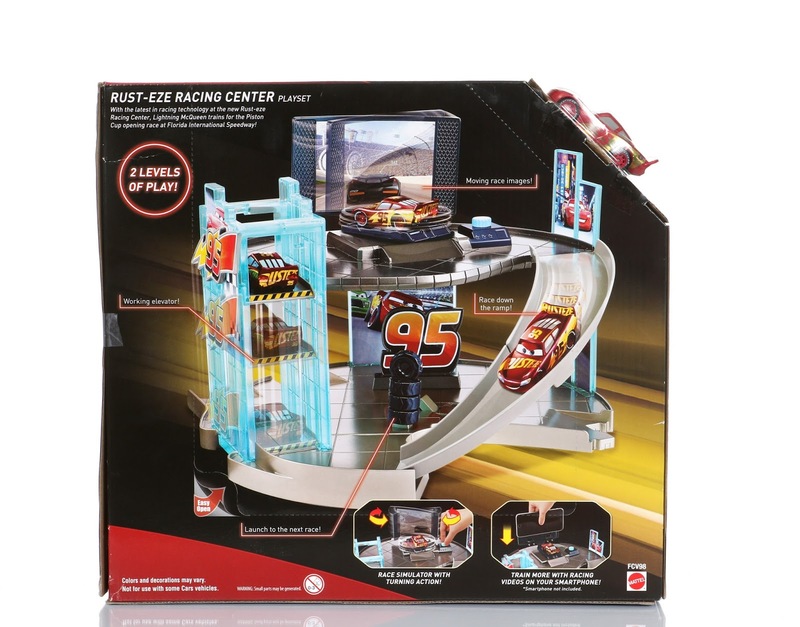 This is a really cool, two-level playset packed with all sorts of fun. 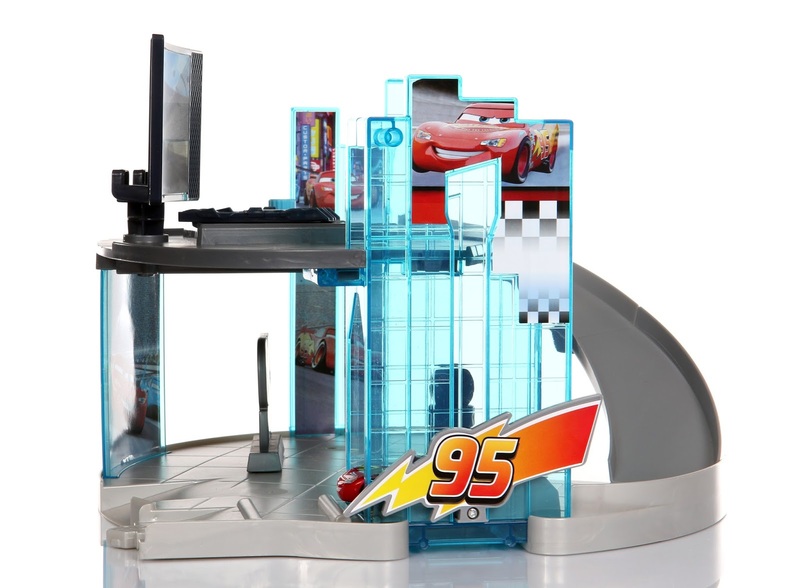 From what I've seen from all the trailers and stills from Cars 3, this racing center seems to be a really sleek and high tech facility. It has that really modern appearance filled with glass windows and all the latest state of the art racing training gear on the inside. 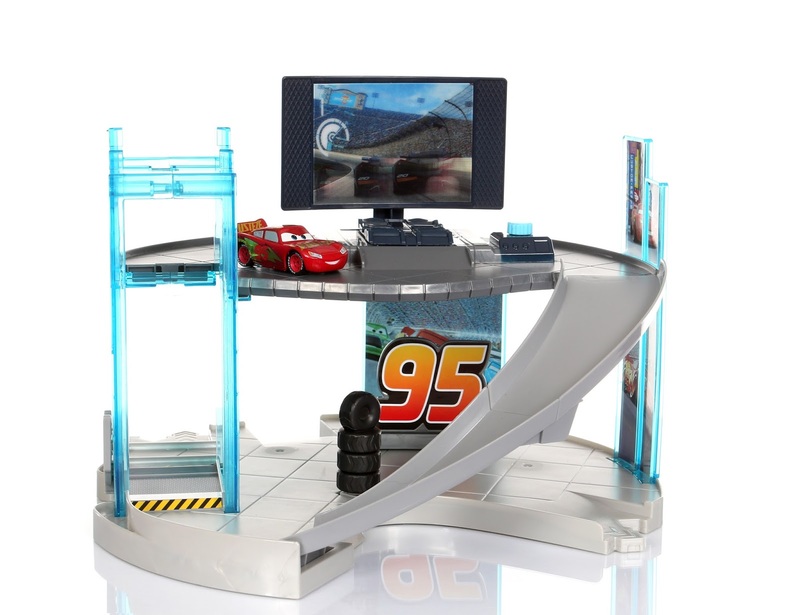 This playset does nicely capturing that look for what it is! I was so thrilled when I saw this was being made since I've been fan of the look of this place ever since I saw it in the second trailer. Let's take a look at this thing all set up! Assembly took about five minutes. 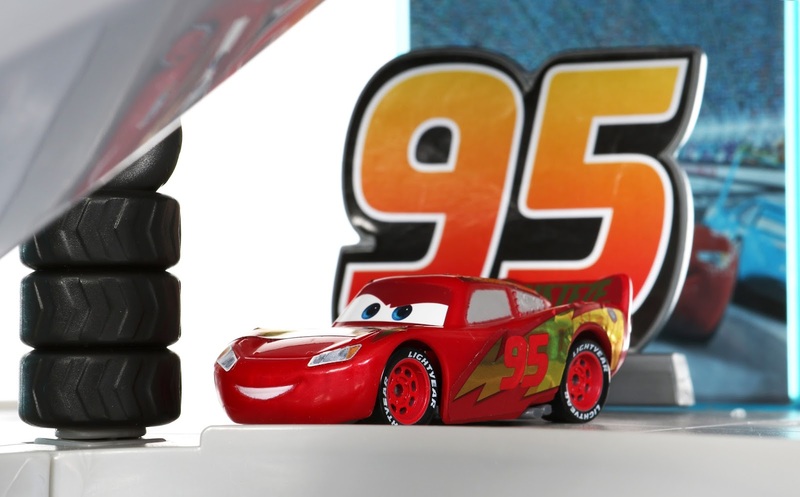 Pose Lightning McQueen by the giant 95, just like in the movie! Hit the stack of tires to send him rolling away (connects to other Cars "Story Sets"). Ka-Chow! 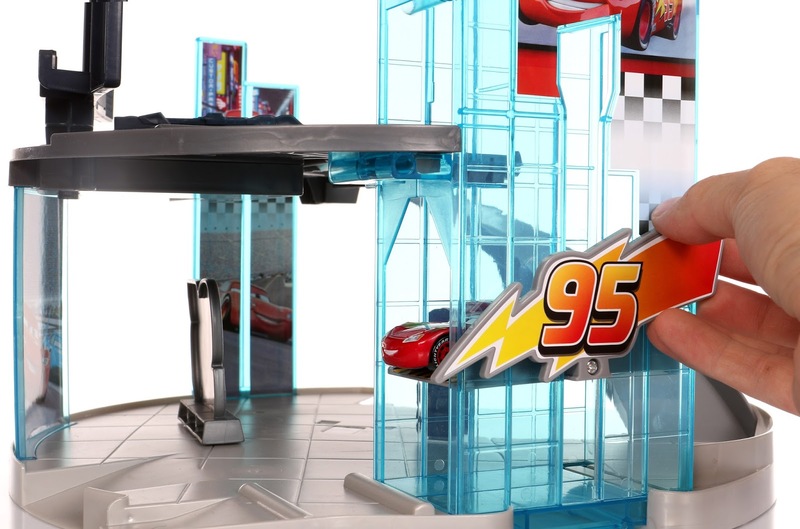 Roll McQueen into the elevator and lift up on the 95 lightning bolt to transport him to the second level. Once you've reached the top, tilt the bolt to allow him to dive on out. Lightning is ready to start his simulator training! This is really neat. 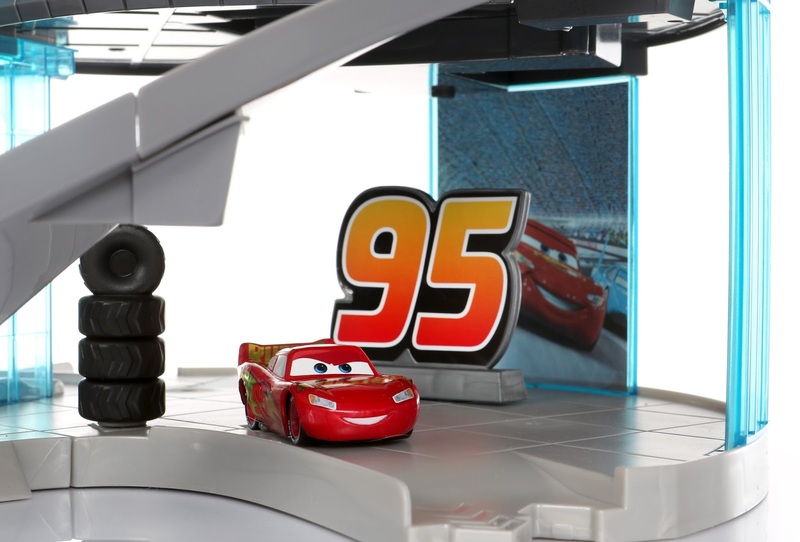 Place McQueen (or virtually any car) on the simulator base and turn the dial to steer him left and right. The image on the "screen" is lenticular, so it changes as you move it from side to side. Come on Lightning, you need to beat Jackson Storm!! That leads me to one minor honest gripe I have; It would have made a lot of sense if Mattel created a free app specifically designed for this purpose. 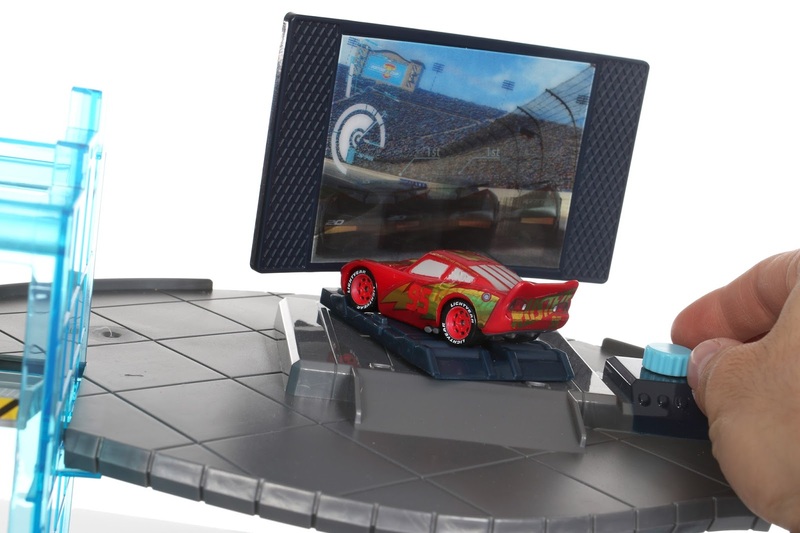 They could have used actual Pixar Cars style graphics, included a selection of several racetracks to choose from and/or even made a game out of it. It seems like a missed opportunity that would have brought this feature to the next level. 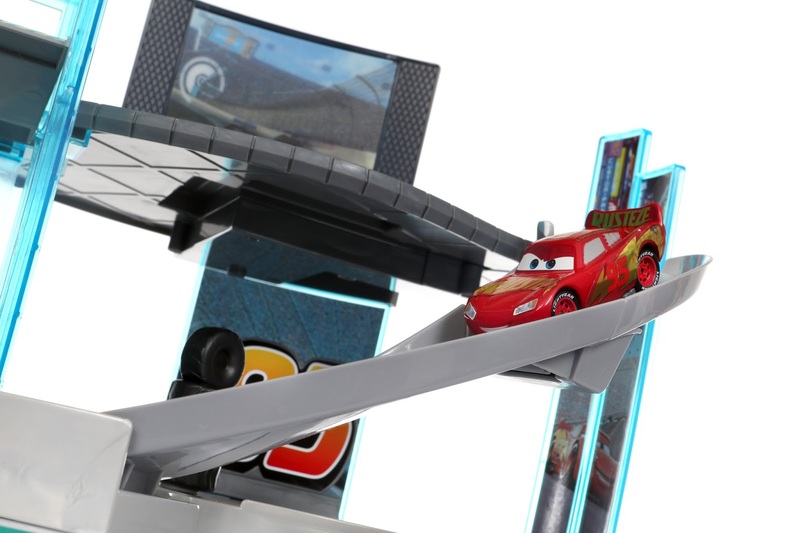 Send McQueen speeding down the ramp and into the elevator for another go! 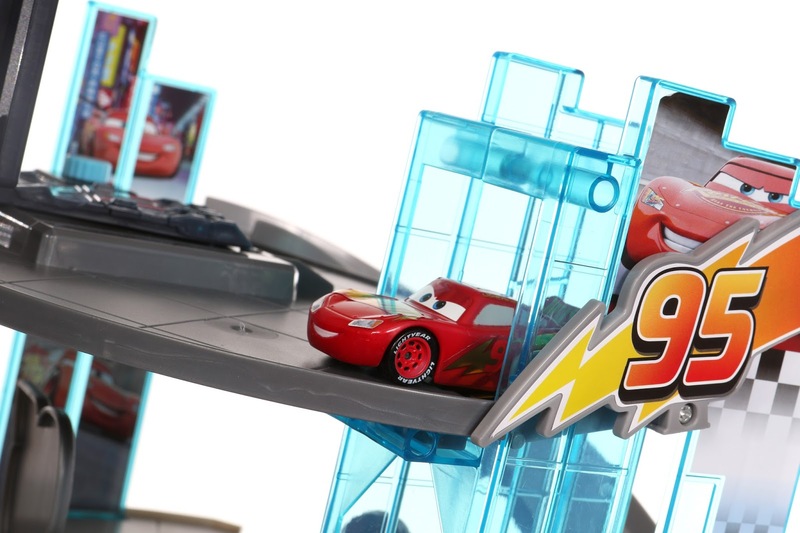 Other than a missed opportunity with the simulator feature and the fact that this plastic McQueen is filled with stickers that can easily peel off (I don't mind that too much though since I have the diecast version of him as well), this is a very cool playset overall. 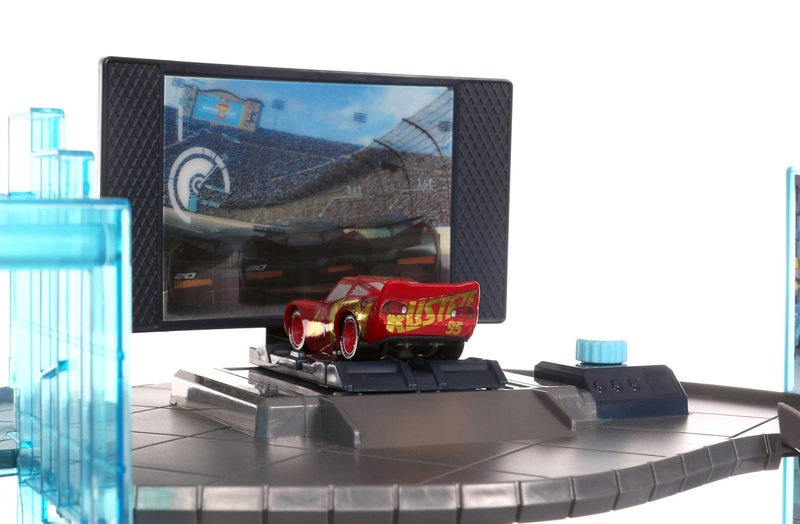 If you're a Cars collector who loves playsets and recreating movie scene specific moments like I am, you'll most definitely want to pick this one up! And I will add that it's kid-tested/approved over here (my two nephews Noah and Luke played with this for a long time and could have kept going). Be sure to add other characters like Cruz Ramirez and Sterling for more fun! Pick it up at your local Target (or online HERE) for $29.99 and let me know what YOU think in the comment section below.